I took a very interesting workshop this week with Jessy of Ravenhill Seeds/Fireweed Farm (see the link below). I’ve taken workshops with Jessy before and have always had a good time and learned a lot. This workshop was focused on the growing of medicinal herbs. 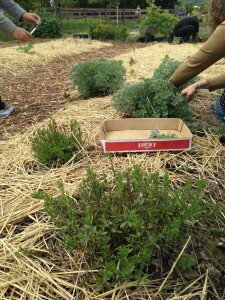 We had a tour of her farm and saw all the different herbs that she is growing. We also discussed various techniques used for propagating perennial herbs. We got a chance to propagate some herbs by taking cuttings. I chose wormwood, sage, figwort, skullcap, mint, southern wood, pennyroyal and wild bergamot. 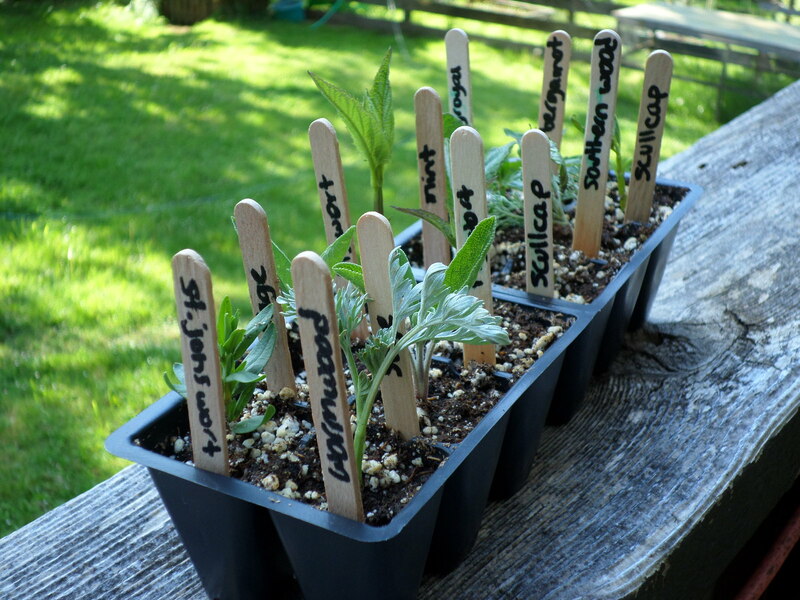 We cut tips from a variety of herbs about 3-4 inches long. Then taking a sharp knife removed the lower two leaves and cut the stem just below a leaf node. We then dipped the stem in hormone rooting powder, made a small hole in the soil and inserted the cutting. Of course we labelled the cuttings, I’m sure I wouldn’t remember which was which for some of the more similar ones. They are now in my greenhouse and most of them looked quite good today, only a couple looking wilted still. Now I’ve got to try and be patient for a couple of weeks to see if they have grown roots. Once they have roots then I can transplant them into bigger pots. We also were given some seeds to start. I chose Meadow Arnica (Arnica chamissonis). Of course I also came home with some herbs which I couldn’t resist buying – Wood Betony, Clary Sage and an Indigo plant which I hope I will be able to use for dyeing wool. I’ve already got quite a few of those that we took cuttings from, I’m waiting to see how well I did – if they will take root.